The first time I walked through the woods with Ted, six Pileated Woodpeckers flew right over our heads. Rare? Yes. Ted threw up his hands and said something inTuscaroan, he smiled, laughed and looked at me as if he were the happiness child on the planet. (Later I asked him what he yelled at the birds, he said to the birds, "Many Thank Yous!!!") He always talked in riddles and it seemed he had this stream of conscious dialog always murmuring under his breath. I did not realize who Ted was outside the world of disc golf. I did not realize I was walking with a Buddha, a Chief, a trumpet player, an Airborne ranger. A close friend of Ted's joined me for a casual round of disc golf at Richmond Hill. We talked about Ted the entire time and things were good. As we approach the biggest tree on the course, I heard an owl. I thought this was a bit unusual since it was the middle of the day, and we all know owls enjoy the night sky. I looked in the tree and I just could not find the owl. Then the owl's partner started hooting too! Two owls hooting and I can not see either of them. I looked to Ted's friend and he just smiled. By this time there was a chorus of owls and I could not think of anything. I simply looked to the sky and embraced the most spiritual moment of my adult life. As we get older, most of us are unwilling to accept magic and we dismiss things that we can not readily understand. When I was ten years old, I watched a lightning bolt destroy a mature oak tree. As I was standing with my family on the second floor, a piece of the lightning came into the room that we were in. The lightning paused in the middle of the room, just long enough to feel a resounding peaceful silence before it exploded into nothingness. When things happen, they happen for a reason and they will foreshadow things that can be changed. We must listen and open our hearts and minds. 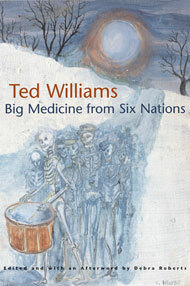 Ted has many wonderful stories about spirits, gifted people, and accounts from his own life. Read the book, laugh, and follow the instructions.